I have a lemon tree that I havn't been able to get to flower since it's first season. It about five years old now and approx 4' tall and 3' wide. The soil is well drained and has a very mature root system. 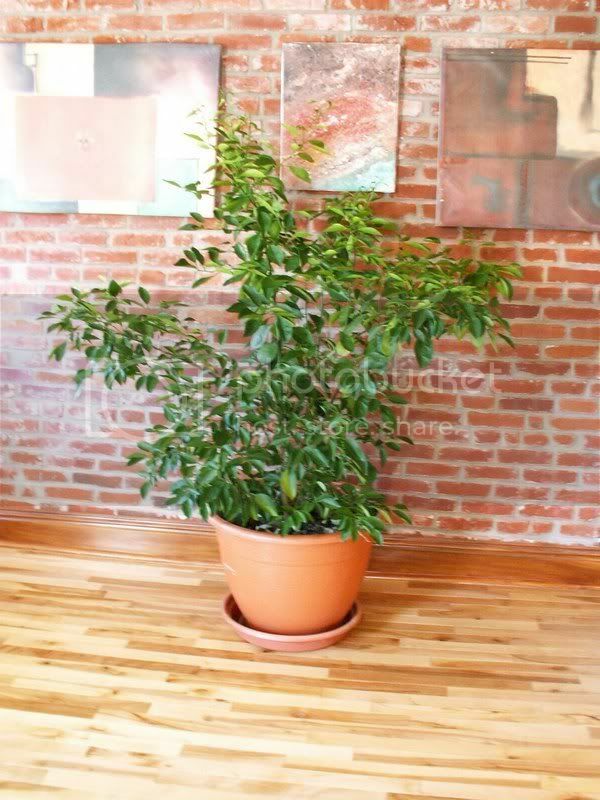 It is outside during summers and thrives, it receives indirect sunlight during colder months. The leaves and shoots are healthy and I havn't had a big problem with leaf drop or watering. What am I doing wrong? Do I need a second one to make it flower? Last edited by fostermamas on Tue Sep 08, 2009 8:47 pm, edited 1 time in total. Are you fertilizing your tree? If it has to much nitrogen then it will simply produce leaves and other foliage and not fruit. I have used fertilizer "sticks"....is there a way to check if it is getting too much nitrogen? Where abouts do you live? I was thinking that it could also be your climate, seeing that you have to move the tree indoors during the winter. Well, what is the NPK ratio of your "sticks" that will tell you what percentage of nitrogen is in the sticks. We alsways recommend that people use organic fertilzers such as: rotted manure, compost, liquid fish fertilizer, or liquid seaweed fertilizer. Wait until Grey comes in and offers her advice, she is initially from Florida and will give you more pertinent information. Seems there is a concensus on fertilizer? I will purchase something different then. As far as pruning is there a good resource for how to? There are several good sources for pruning trees on the internet. Just do a google search for fruit tree pruning or something the like. Here I am almost a year later and no flowers or fruit. I see some of my main stalks are starting to to "brown up" and are no longer young and green. Still no flowers or fruit The tree is about 6 years old now....I keep trying! Any further advice? I use 8-3-9 fertilizer on my Lemon tree. However, it seems as though you grew yours from seed. My tree had lemons on it the day that I bought it because it was grafted. Trees grown from seed will take several years before you will get any fruit if any at all. Here I am over three years later and this tree is bigger and bigger. Yet still no flower or fruit. 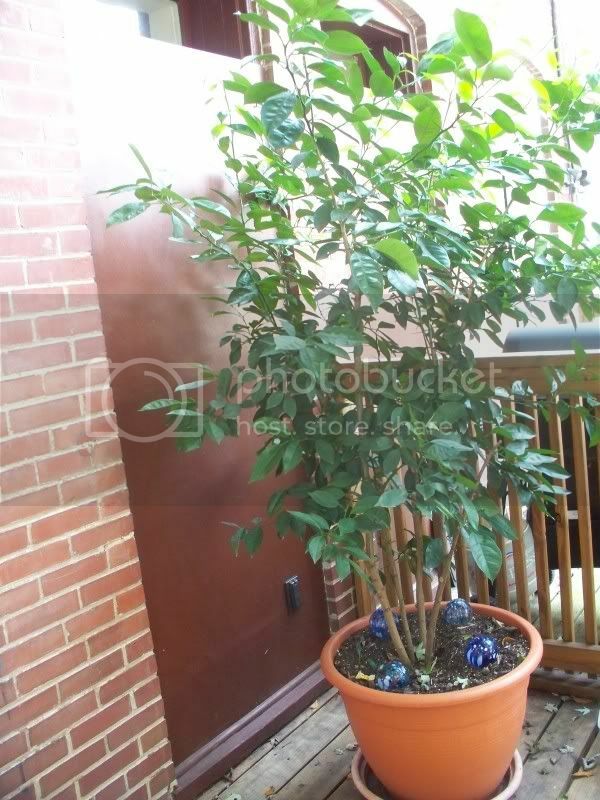 I purchased it through a mail order catalog and it was just a tiny twig when I planted it. It's over 7 foot tall and 5 foot wide now. I've been fertilizing it, checking my soil conditions....still nothing. I have 10 years into this tree now...any other suggestions? I would advise not pruning the tree... unless you absolutely have to. It looks much thinner in the most recent pic when compared to 2007. 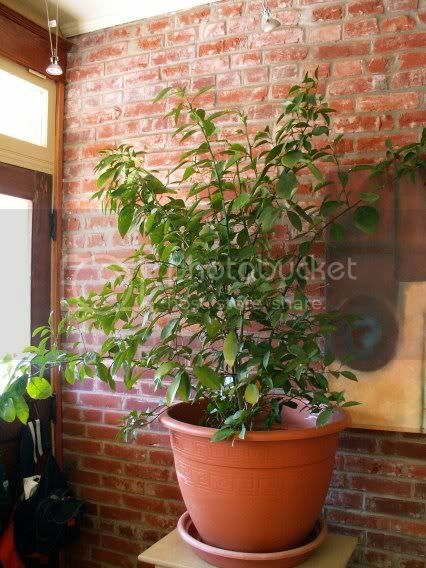 Meyer dwarf lemon tree - plenty flower buds, no fruit!